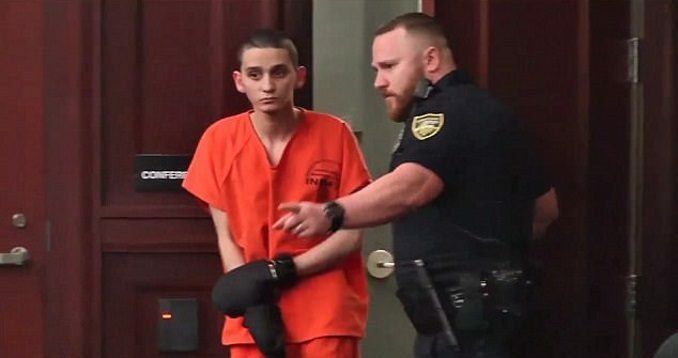 A violent criminal who tried to murder a Florida cop has been sentenced to life in prison after shooting the law enforcement officer four times. Now, video footage from inside the courtroom has gone viral after the cop showed up to deliver a special going away gift for the smug thug. 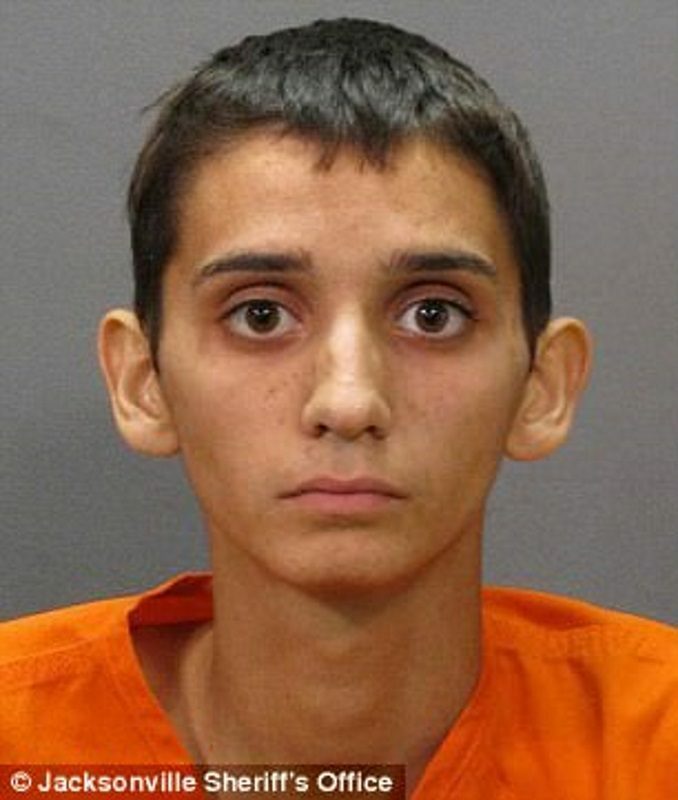 Kevin Rojas was just 19 years old when he tried to kill an undercover Jacksonville Sheriff’s Office officer who was in his car with his teenage son. When the off-duty officer, who was taking his son to school, saw Rojas driving erratically, the cop decided to make a traffic stop. 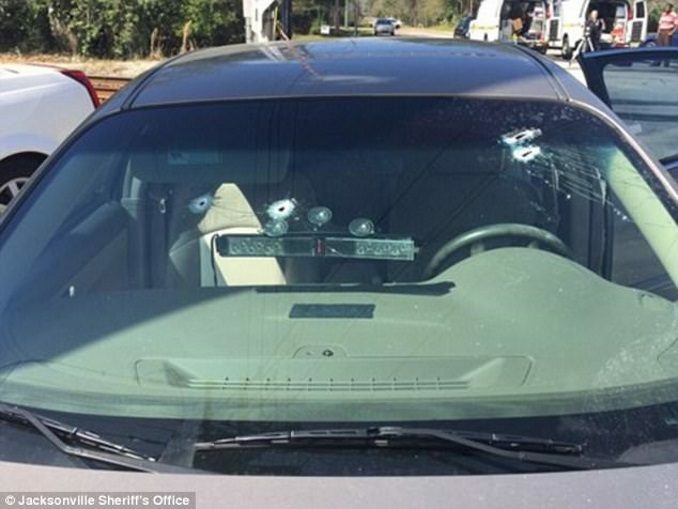 Rojas got out of his car and shot through the windshield of the officer’s vehicle, striking him four times. Luckily, the officer’s teenage son was unhurt in the incident. The officer, however, was struck in the face, stomach, and hand. The wounded police officer, even after taking a bullet to the head, managed to fire back as Rojas ran away. The thug stole a truck and raced back to his neighborhood, barricading himself inside his home after crashing the truck at a neighbor’s house. Rojas was shot multiple times through a glass door, hit in the torso, leg, and hand, after police officers said he wouldn’t drop his gun, according to Daily Mail. A smug and smiling Rojas was sentenced to life in prison after being found guilty of attempted first-degree murder, attempted manslaughter, two counts of aggravated assault on a law enforcement officer, grand theft auto, and fleeing. Circuit Judge James Daniel sentenced him to the maximum prison sentence for each of the crimes he committed. 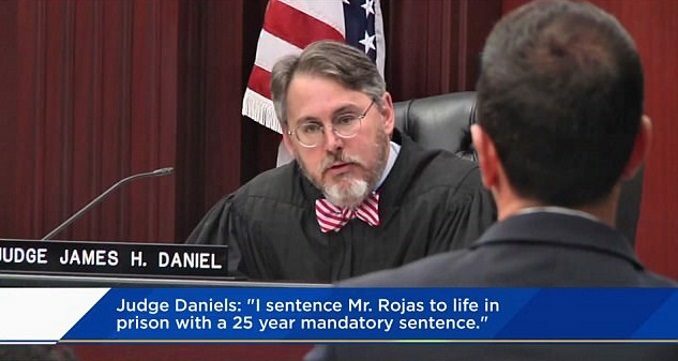 So, Rojas not only received life in prison but also three 15-year sentences for the lesser charges. If Rojas didn’t have an idea what life in prison meant, the cop he tried to kill gave him a clue. The police officer decided to taunt the young man who shot at him and his son by giving him a going away gift. 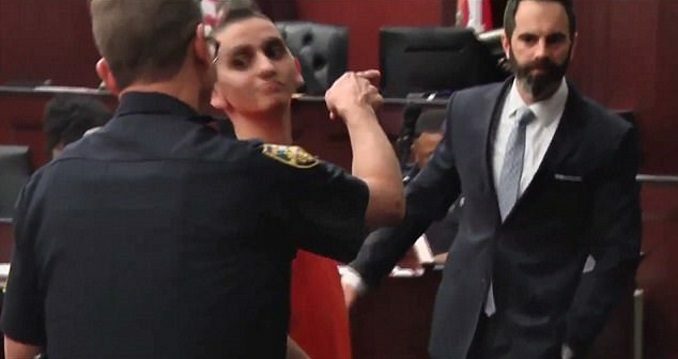 As Rojas was appearing in court for the attempted murder of the unidentified officer, the cop had a few words for the thug before giving him his special surprise. “I will take those bullets instead of a fellow officer or innocent bystander,” the officer said. “If there was a coward on that day, it was Kevin Rojas,” he told the court before addressing Rojas directly. “When I brought the fight back, you ran like a coward.” Then, the officer told Rojas about the gift he had for him. “So, I got a little gift for you,” he said. As the officer slammed a bottle of KY Jelly lubricant on the witness stand in front him, he added, “You’re going to need a lot of this where you’re going little man.” Although Rojas was not allowed to take the officer’s gift with him to prison, the message the officer sent was clear. The officer’s gift received mixed reviews from social media users. While many applauded the officer for being brave enough to confront the man who attempted to kill him, others criticized him for taunting a criminal, despite the fact that the thug tried to murder the policeman and his son. However, the critics called into question the cop’s professionalism. “A real professional that officer. You may be frustrated however you have no integrity nor honor in your use of a gimmick, stupid one at best, during your speech at the sentencing of this thug. Hope the department sees what you really are,” one reader commented. Others focused more on a harsher punishment for Rojas. “A life sentence makes no sense. Anyone dangerous enough to be imprisoned for life should simply be swiftly terminated instead of remaining a drag on society for years to come,” one reader wrote. Kevin Rojas’ family reportedly fled the courtroom in tears after his sentencing since they surely understand the implications of the young man’s sentence, even if he was too ignorant to fully grasp what “life” is just yet. Luckily, time has a way of bringing about an understanding for people, and Rojas, who has a lot of time ahead of him, is no different — only his will be a very tormented reality. But, I don’t think too many people are going to sympathize with him.